The Average National Credit Score is Over 700, But Risks Still Exist. 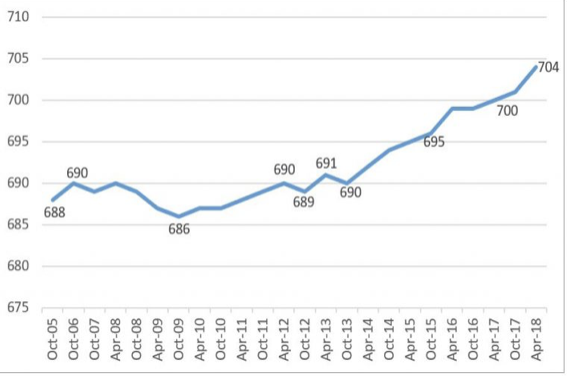 Since bottoming out with an average FICO Score of 686 in October 2009 – incidentally one year after the stock market crash of 2008 – scores have risen steadily since, including for the past 8 years. 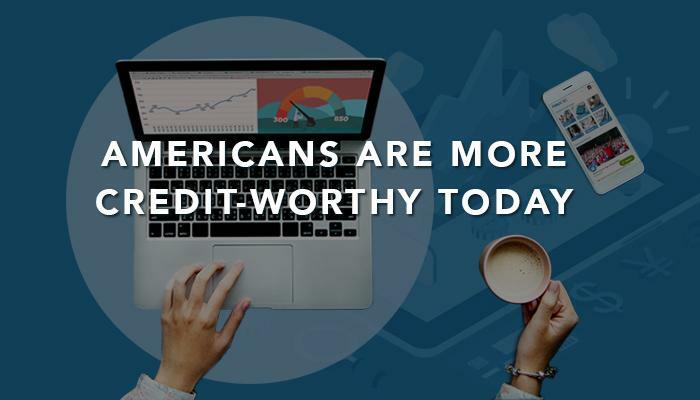 Today, the average FICO score in the U.S. has reached 704, a new record that will hopefully be replaced with a newer record in the coming months. 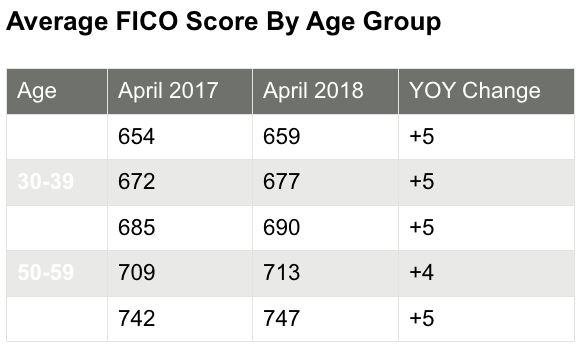 Looking at the average FICO Score by age group and we see more positive news, as all age groups experienced an increase in scores, although some age groups moved less than others. And it is probably no surprise that older folks – on average – score higher than younger ones. When examining delinquencies, there is some good news and some bad news. The good news is that there has been a significant decrease in delinquencies with respect to real estate. The bad news? Unfortunately, the delinquency rates for auto loans and bankcards has crept up over the last few years. Apply for a credit card, not 10 credit cards. Make some purchases each month and avoid nearing your credit limit. Lenders generally look down on you maxing out your limit every month. Pay your credit card bill on time. Keep your first credit card – the longer you hold a credit card the more credit builds on it. Cancel the card and you lose the history and credibility you build with that creditor or lender. One safety stop for problem spenders: cards carrying no annual fees or that come with low credit limits. Use this card for emergencies and, again, pay your balance monthly and spend no more than you can pay off in a month’s billing cycle. Some debt is okay. Good debt includes purchased items that increase your overall wealth and that no one expects you to afford to pay off immediately, such as loans for tuition, a car or a home mortgage. Just make each installment payment on time to show lenders you are creditworthy. Other types of debt walk the line between good and bad, such as costs of small-business ownership or real estate investments. These help your credit rating when they succeed and damage your rating if they fail. You must carefully judge the risk for yourself. Carrying balances on your credit cards constitute some of the worst debt, if for no reason other than that they tack on interest rates higher, often much higher, than rates on consumer loans. When possible, pay for such expenses as gas or meals with cash on hand or with a card only if sure you can pay the balance at month’s end. You probably view credit reports the way most people fear shadowy, all-knowing powers that can wreck a life. Know that most lenders rely on reports like those from the Fair Isaac Corporation (FICO), which bases scores on five areas: your payment history, current debt, types of credit used, length of credit history and new credit. Building credit and credit history takes work and sometimes a little courage to hear bad news – just like anything that pays off down the road to improve your financial standing and quality of life.